Utilizing Non-Destructive Technology, Critical Component Assessment uncovers defects and deficiencies in critical load-bearing and safety-related overhead lifting components. Thermal imaging and electromagnetic-inductive technology are used to assess condition of internal wires, motor winding insulation, gear box, and mechanical load brakes. Summarizing current condition of equipment, CCA results allow customers to make informed decisions on how to maximize service life. Non-destructive testing designed to ensure the safest possible operation of your crane. Springfield, Ohio - Konecranes, an industry-shaping leader in manufacturing and servicing of overhead cranes and other lifting equipment, offers the Critical Component Assessment (CCA), an advanced inspection process utilizing Non-Destructive Technology (NDT) that uncovers defects and deficiencies in critical load-bearing and safety-related overhead lifting components not normally discovered during routine inspection. The CCA produces a reliable condition assessment, allowing customers to determine the reliability of their equipment. 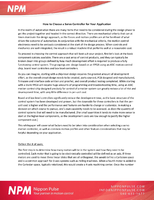 Undetected defects and deficiencies in critical components can lead to catastrophic failure. Most compliance and preventive maintenance inspections rely on visual observations and measurementsdespite the fact that many defects and deficiencies cannot be seen with the naked eye. The CCA is an in-depth assessment that goes beyond visual observations and measurements. Experienced, certified inspectors efficiently perform CCA inspections using proprietary and proven methods such as thermal imaging and electromagnetic-inductive technology to assess the condition of critical components such as: internal wires, strands, and wire rope core; mechanical coupling between hoist motor and gear box; motor winding insulation; gear box and mechanical load brakes; and mechanical components. A complete bottom block hook inspection using NDT can also be conducted to check for cumulative fatigue that could lead to hook failure. 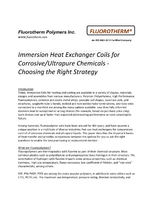 To provide maximum flexibility, the various elements of the CCA can be applied individually or grouped in the most appropriate combination to suit a customer's particular application. These elements focus on critical areas of crane operation, including: an overall crane inspection and analysis, an evaluation of the operating environment, a key components analysis, and a maintenance and reliability study. The CCA results summarize the current condition of the equipment including its current operating capacity and the extent of its usability. This comprehensive report allows customers to make informed decisions on how to maximize the service life and use of equipment, prioritize maintenance schedules, and forecast maintenance expenses. No matter what the findings, Konecranes can provide customers with the required repairs, replacement parts, and training to ensure safe equipment operation. Konecranes technicians can also provide customers with engineered solutions to maximize productivity while minimizing downtime and total lifecycle costs. To view a detailed video overview of the CCA, go to www.konecranesamericas.com and click on Video Library. 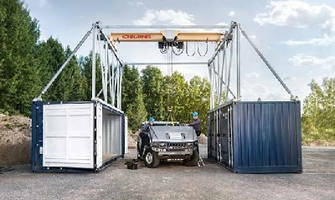 For more material handling products and services, contact Konecranes Inc., Region Americas Headquarters, 4401 Gateway Boulevard, Springfield, OH 45502, toll free at 1-800-934-6976 or by fax 937-325-8945. 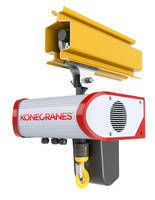 Konecranes is a world-leading group of Lifting BusinessesTM, serving a broad range of customers, including manufacturing and process industries, shipyards, ports, and terminals. Konecranes provides productivity-enhancing lifting solutions as well as services for lifting equipment and machine tools of all makes. The Group has 9,800 employees, at more than 545 locations in 43 countries, including 100 service branches in North America. CLX Electric Chain Hoist comes with self-adjusting magnetic brake. CXT Explorer Overhead Crane System is equipped with CXT Hoist workhorse. Mobile Crane operates both indoors and outdoors. Electric Chain Hoist accelerates work cycles and promotes safety. 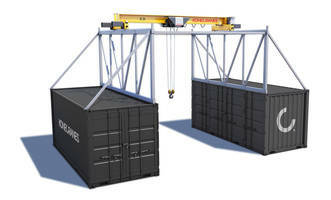 Workstation Crane handles loads up to 2 metric tons.